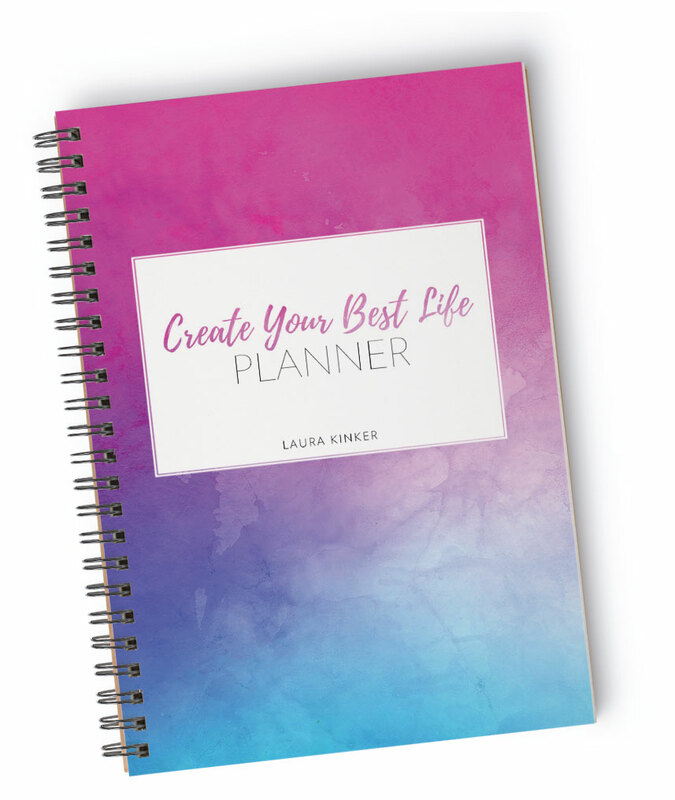 The Create Your Best Life planner is designed to help you create your best life by helping you get clear about what you want and helping you to design a realistic plan to get there. 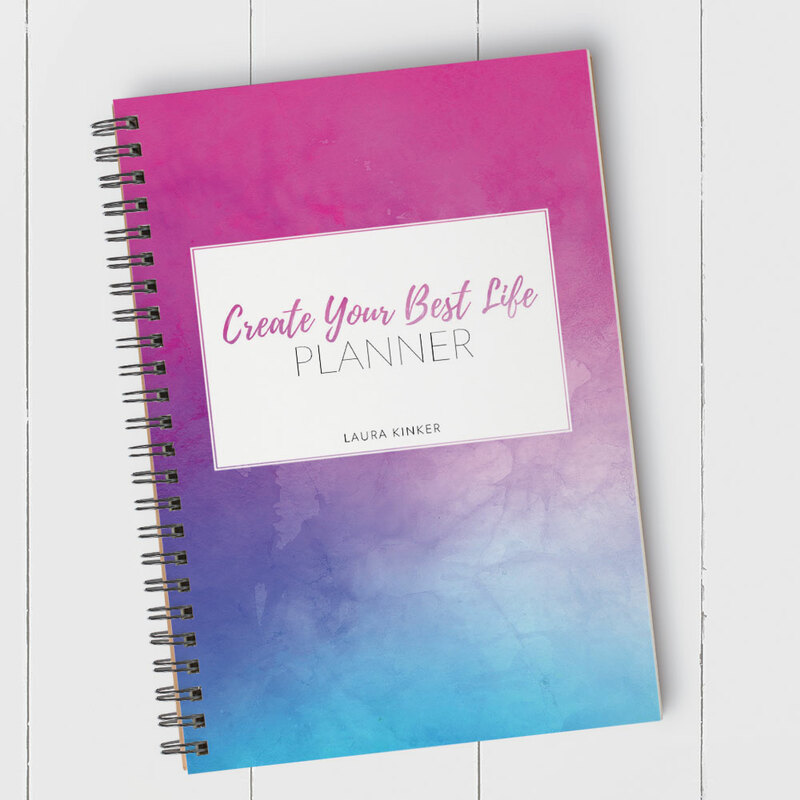 Complete with life mapping, comprehensive life assessments, goal setting, habit trackers, monthly check ins, and monthly and weekly calendars, this planner will get you well on your way to achieving your goals while living a fun-filled life. 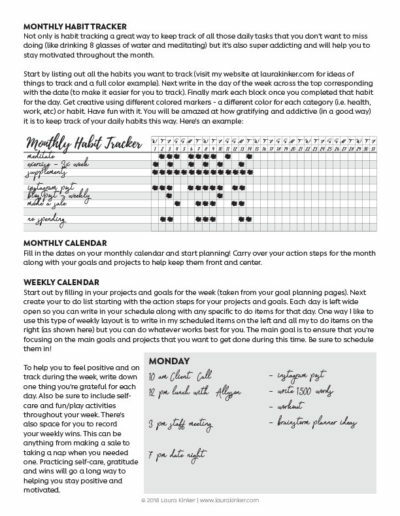 Choose between two weekly planning layouts to help plan your weeks and keep you moving towards your goals. 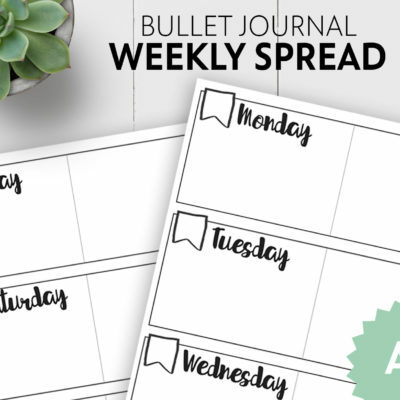 This weekly layout option gives you the most flexibility with your weeks. 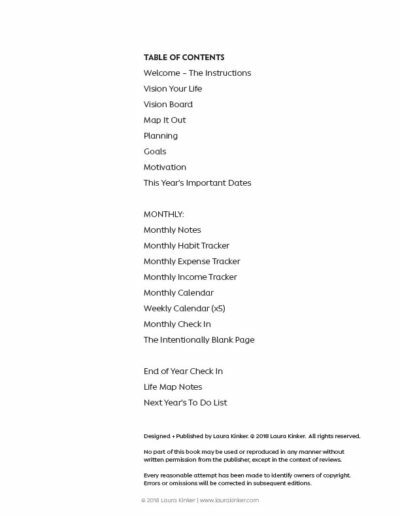 Use the open daily space to schedule appointments, to list your daily to do list or whatever works best for you. 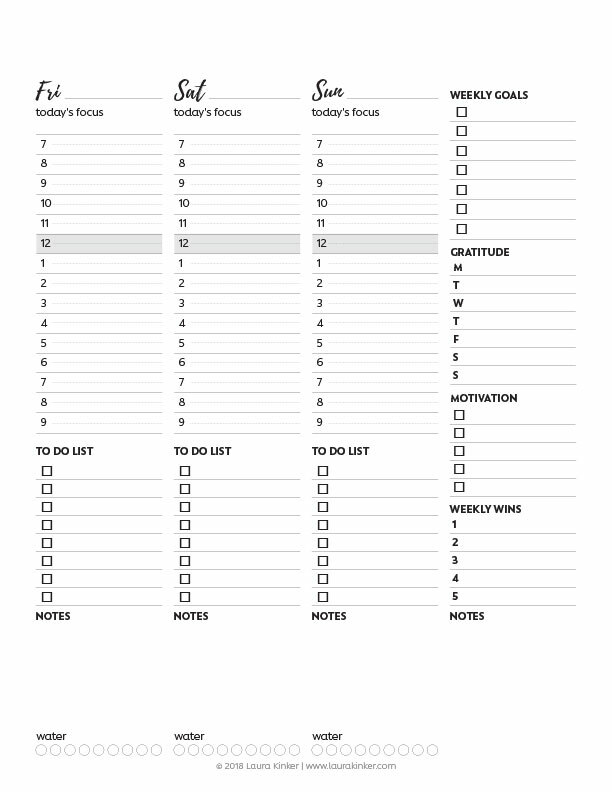 This option also has space for your weekly goals, your weekly to do list (if you’re someone who prefers to list things weekly vs. daily), daily gratitude, self care, fun/play, weekly wins and notes. 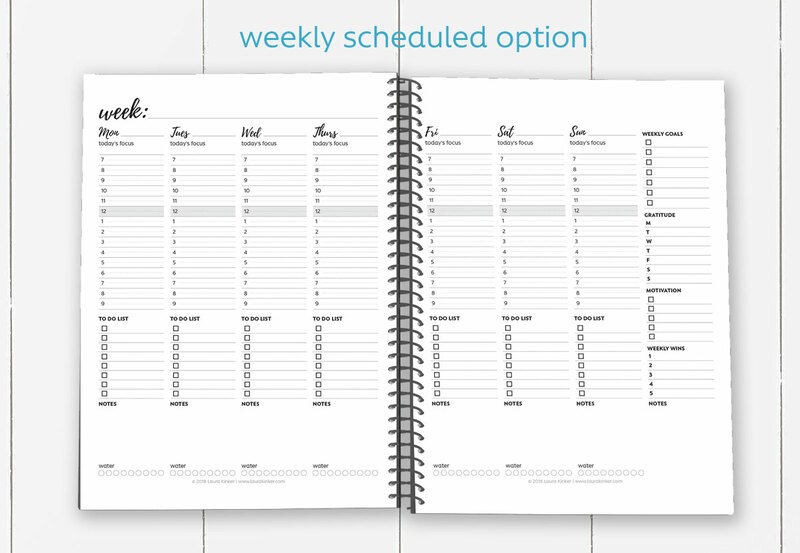 This weekly layout option focuses on your daily schedule and your daily to do list. 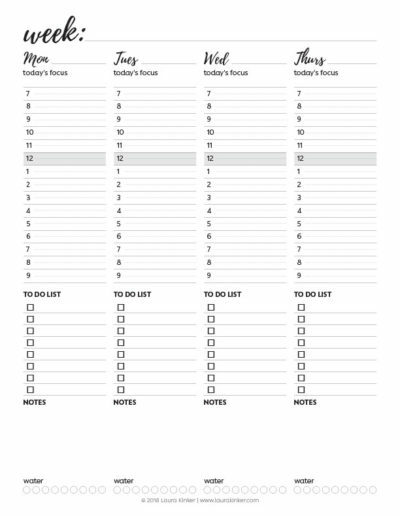 This option is perfect for people with busy daily schedules and for those who like to have their days clearly scheduled out. 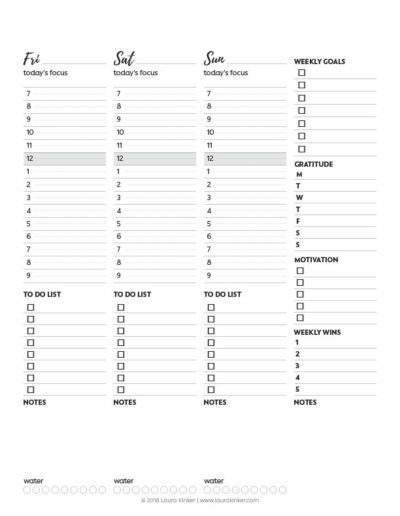 This option also includes space for a daily focus, your weekly goals, gratitude, inspiration, weekly wins, notes and water tracking. 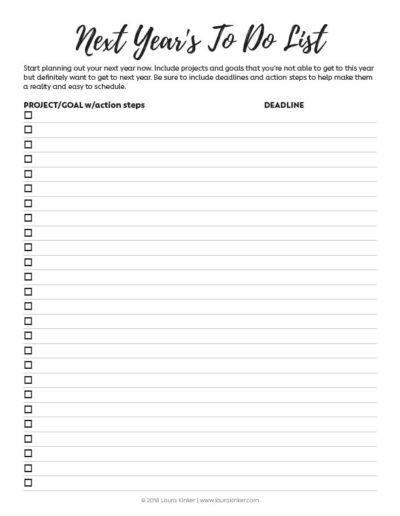 Choose between four unique cover designs to make your planner your own. 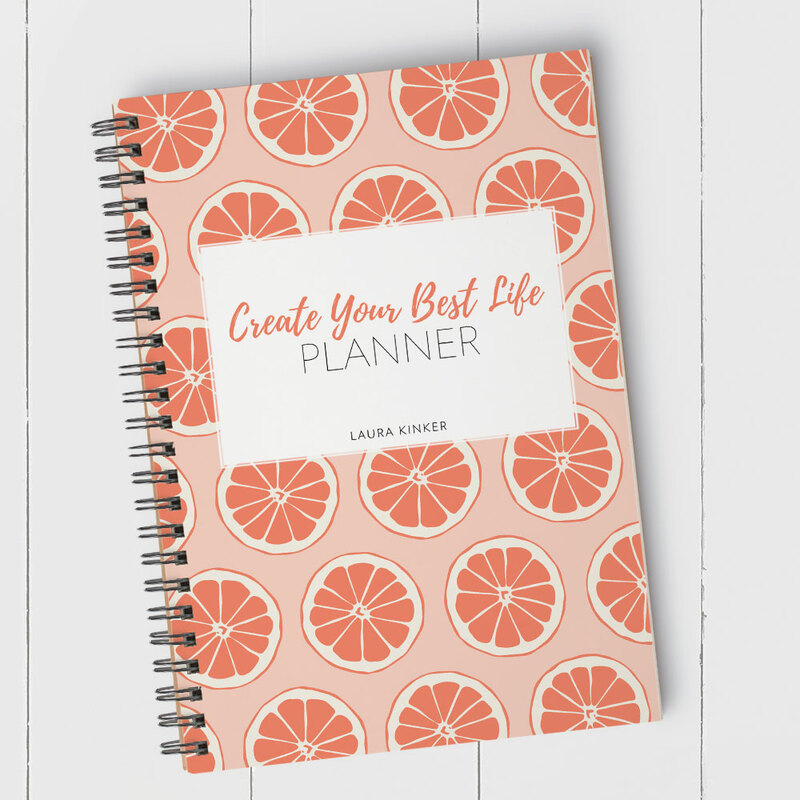 The Grapefruit cover conveys happiness and freshness each and every day. 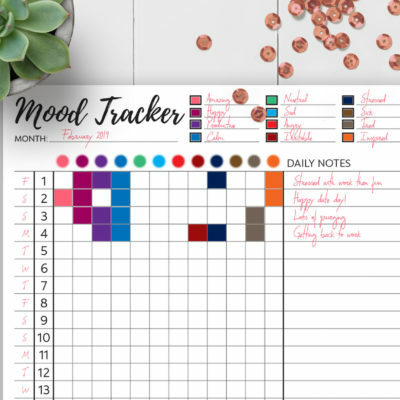 The Pink + Blue Watercolor cover denotes creativity as well as tranquility. 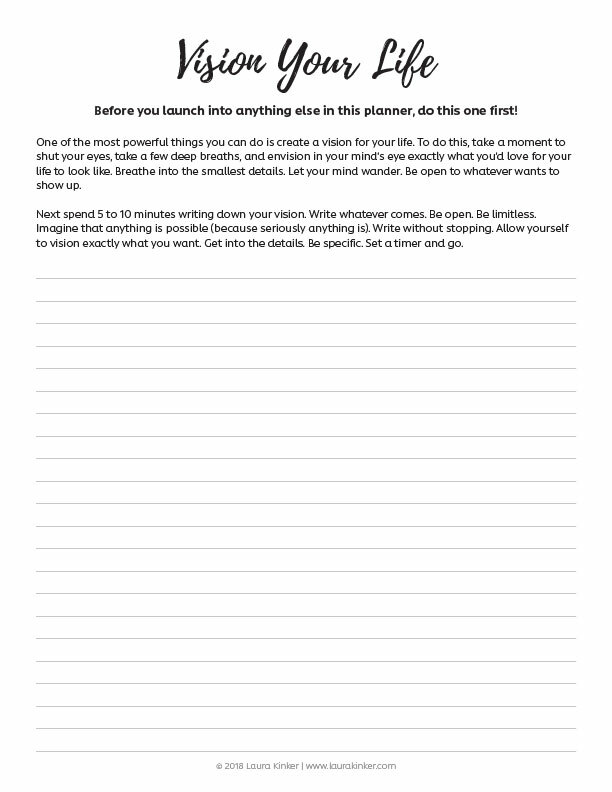 It’s an excellent cover choice for creatives. The Goldleaf cover is the epitome of class and elegance. 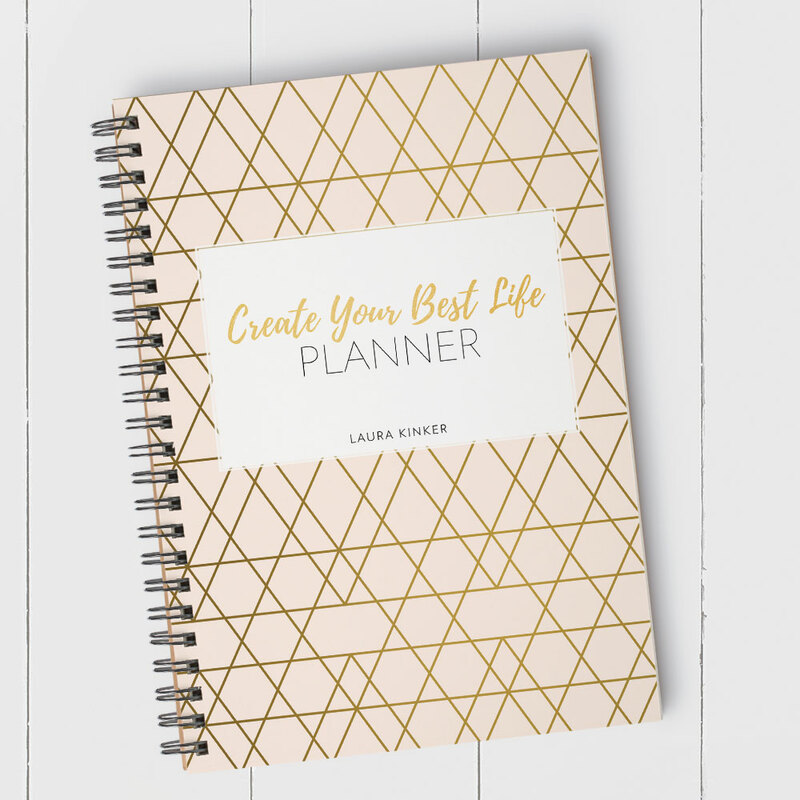 This cover is perfect for those seeking a more upscale experience. 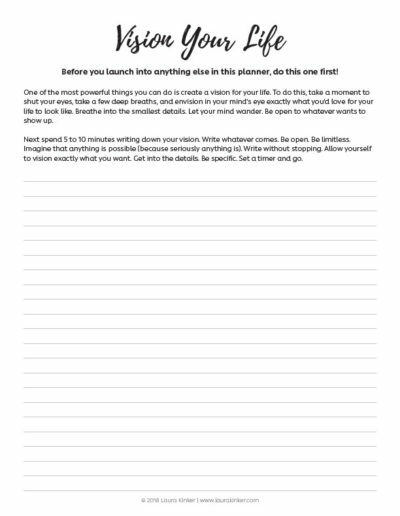 The Pink Paint cover is ideal for artists and creatives. 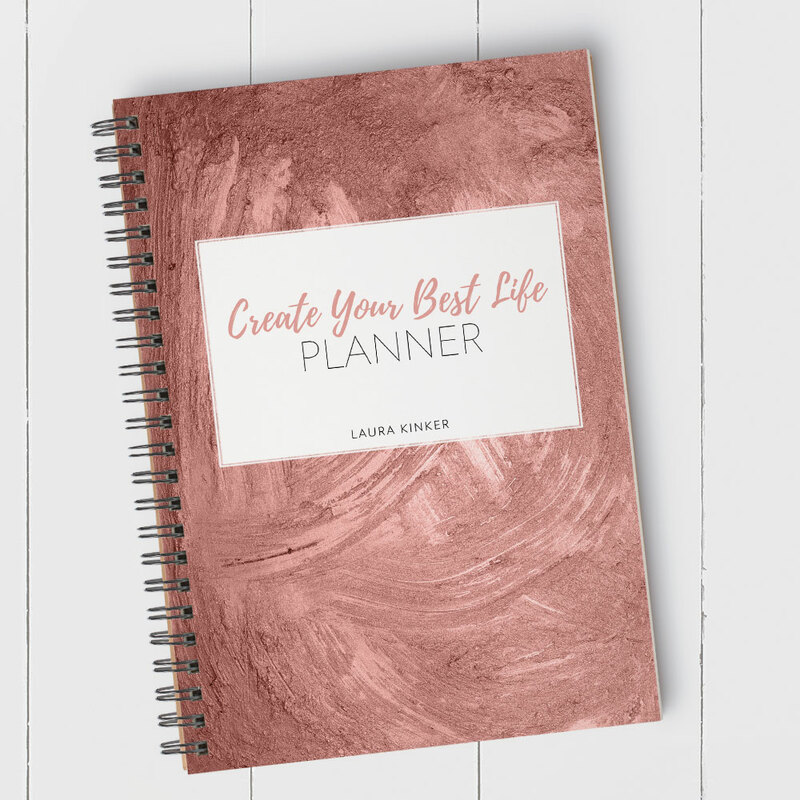 The textured pink paint conveys a workspace that’s ready for your creativity. 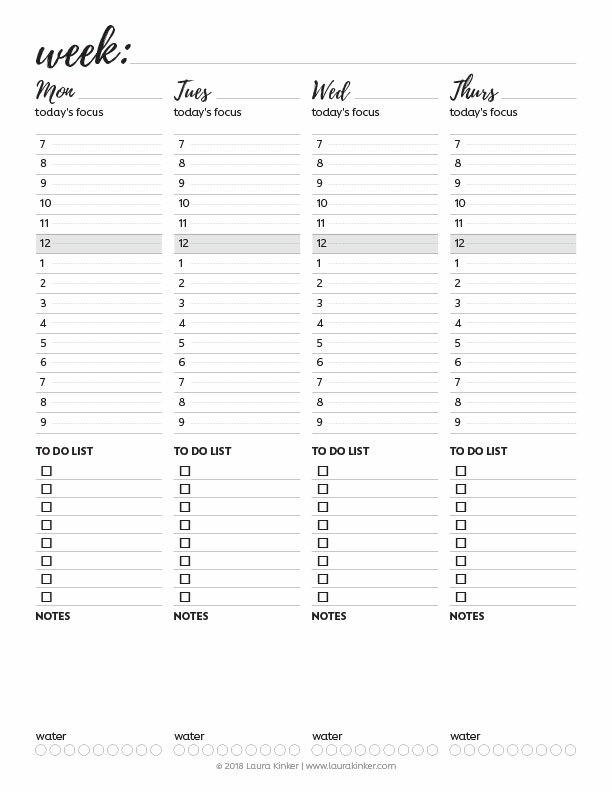 All back covers reflect the front cover minus the white box and text. 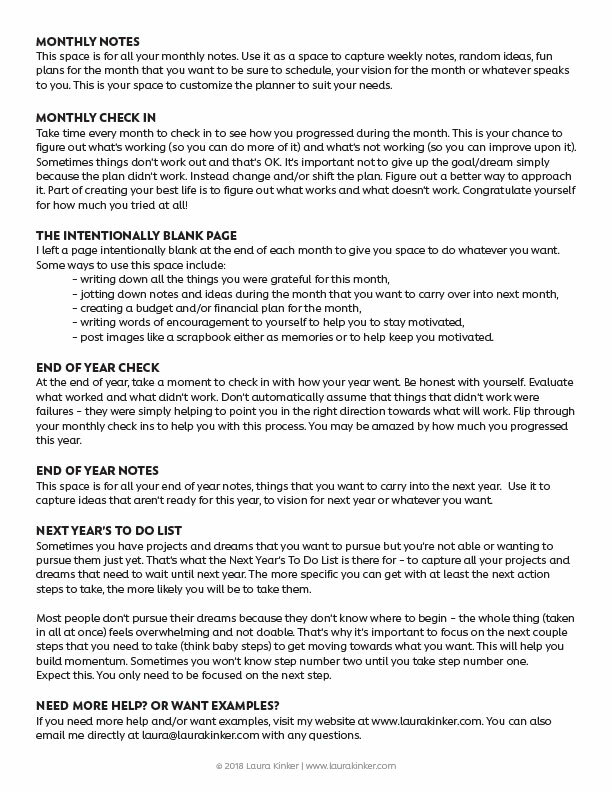 Here’s a glimpse of what’s inside. 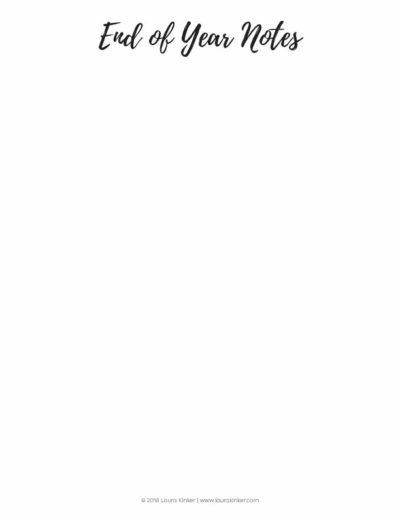 Not all pages are shown. 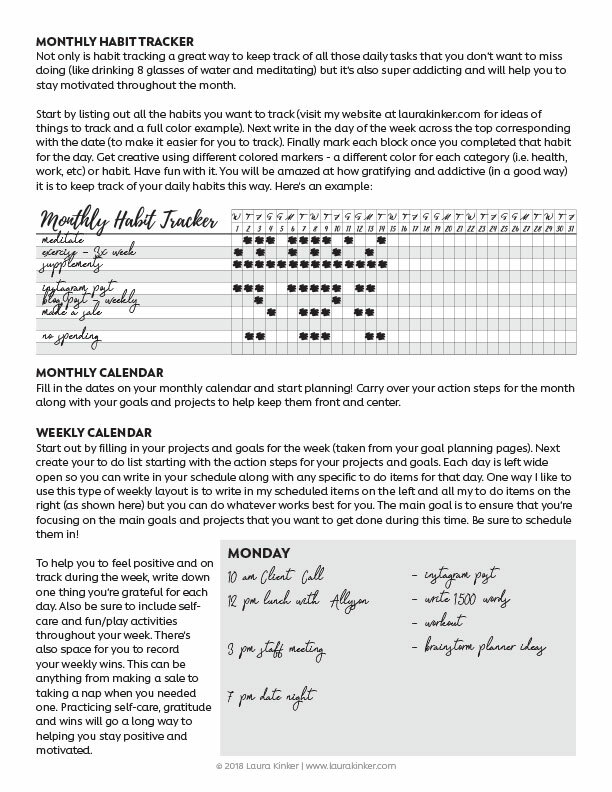 Only one weekly layout per planner (both are shown here). 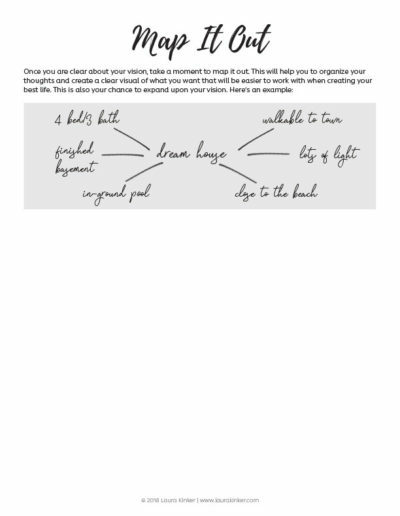 Identify in great detail exactly what your best life looks like with the Vision Your Life exercise, Vision Board, Map It Out and Planning tools. 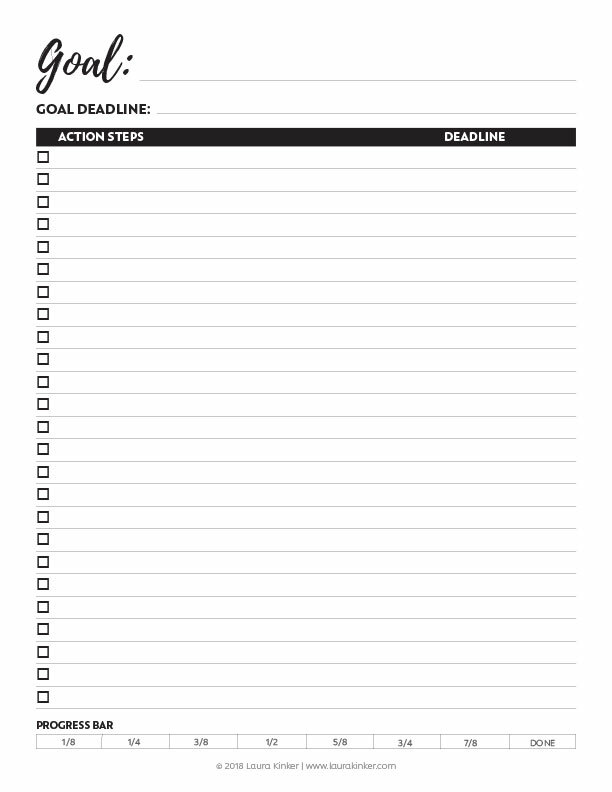 Identify your long and short term goals along with specific action steps to help you get there. 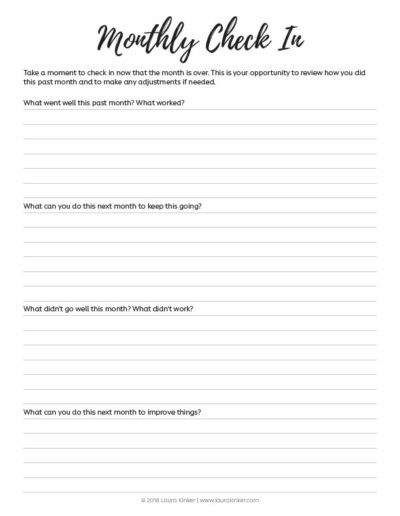 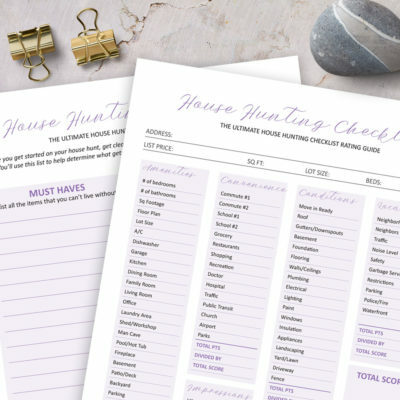 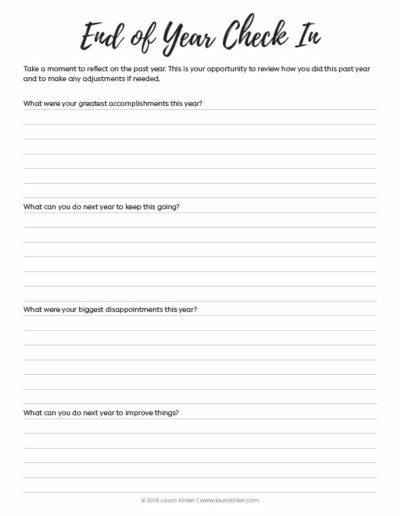 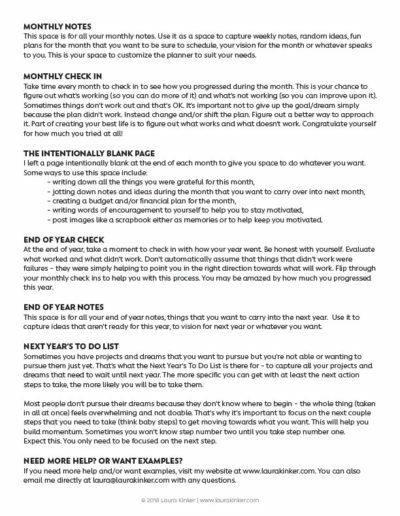 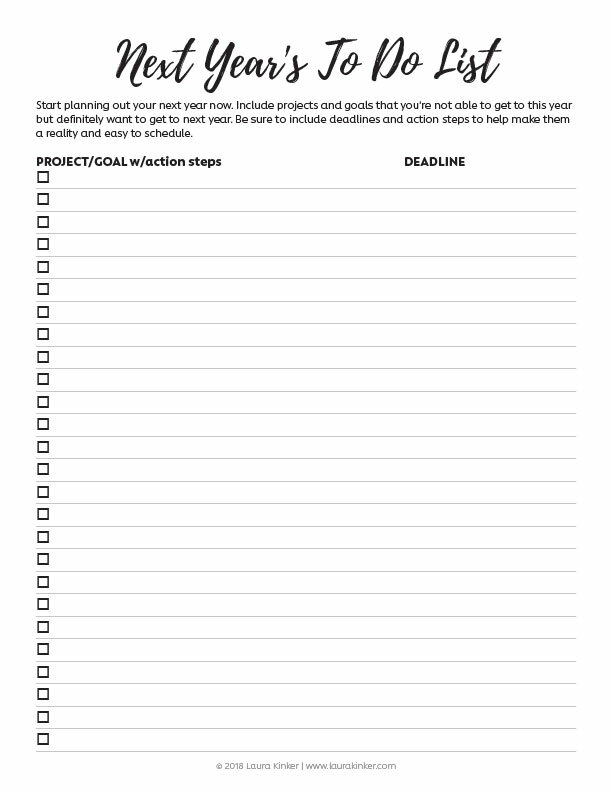 Use the monthly goal planning sheets to help you focus on specific goals each month and to help start making them a reality. Use the monthly habit tracker to ensure that you keep working towards your goals each and every day. 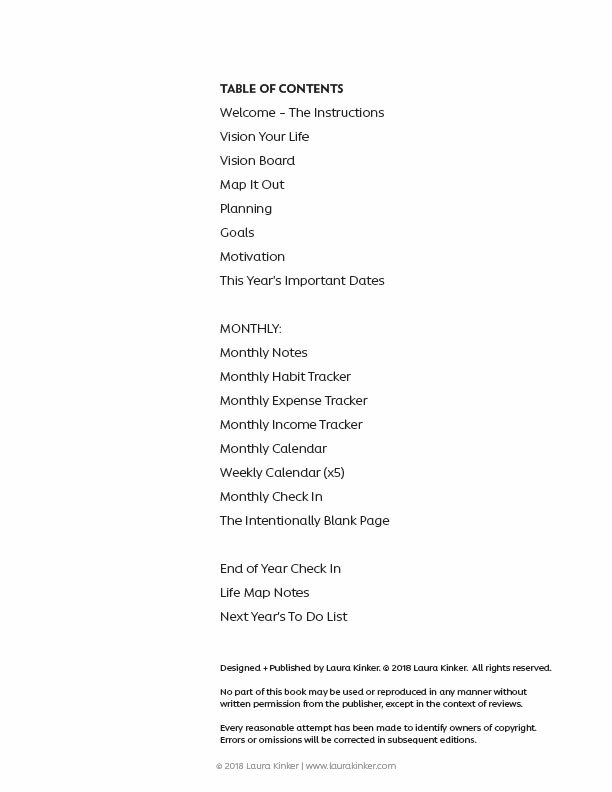 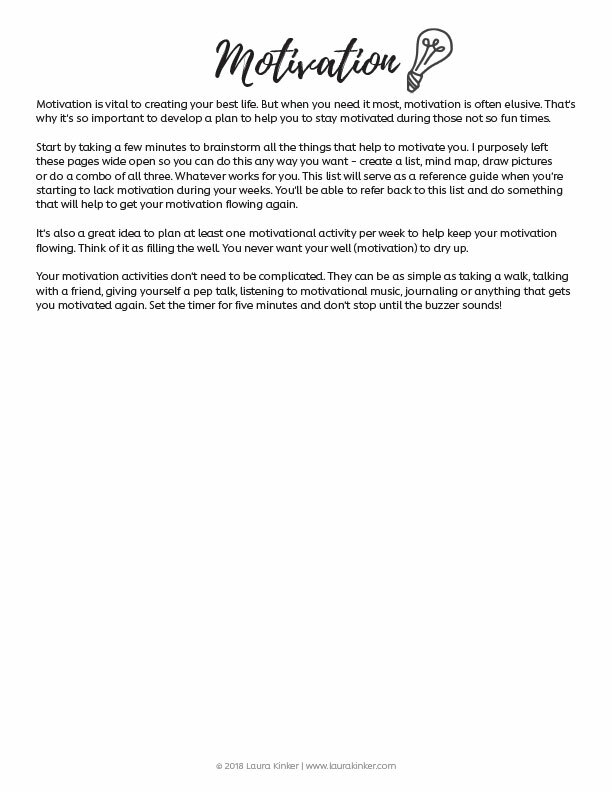 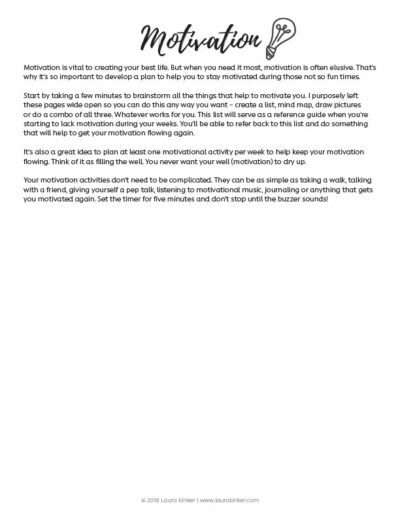 Use it track things such as exercise, meditation, social media posts, work projects and more. 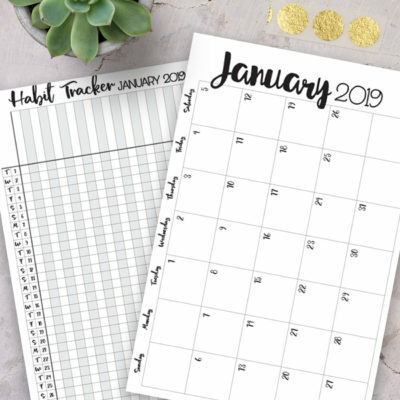 Utilize the This Year’s Important Dates at the beginning of the planner as well as the Next Year’s To Do List to plan an overview for this year as well as the next. 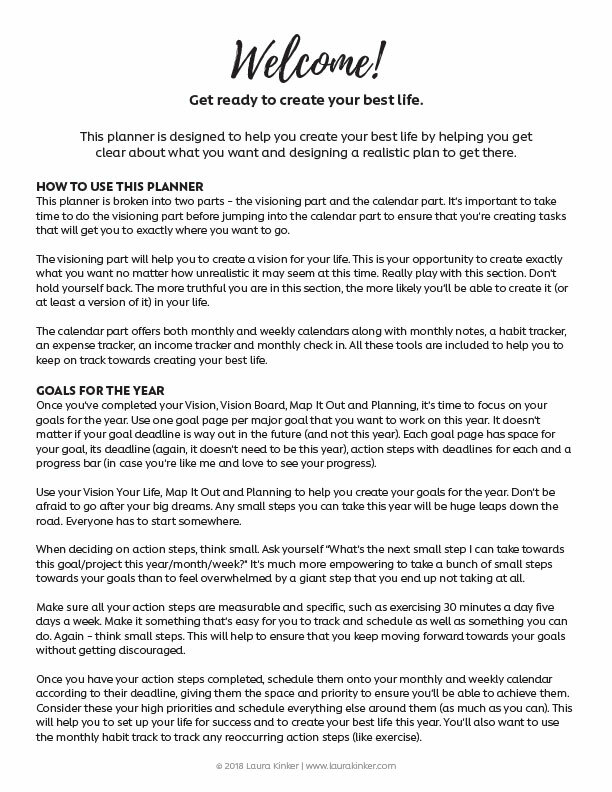 Each month includes a two-page (dateless) monthly calendar along with a two-page (dateless) weekly spread. 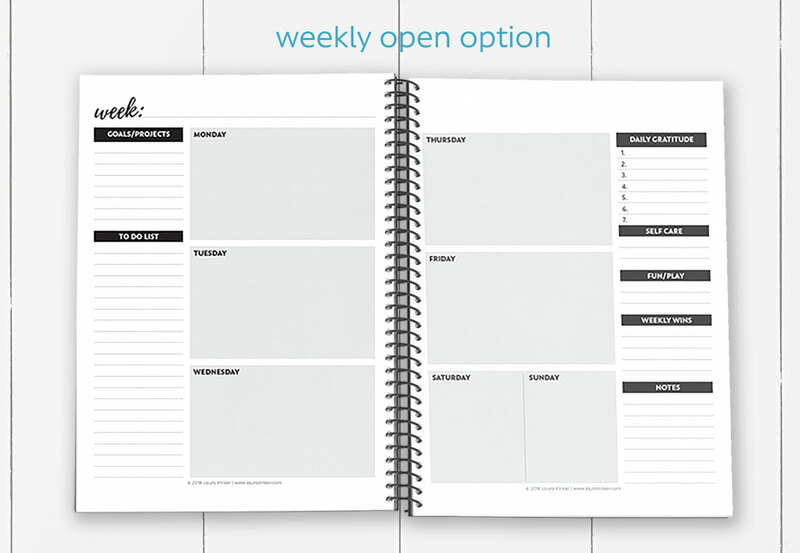 Choose between the more detailed scheduled weekly layout option or the more open weekly option to customize the planner to your needs. 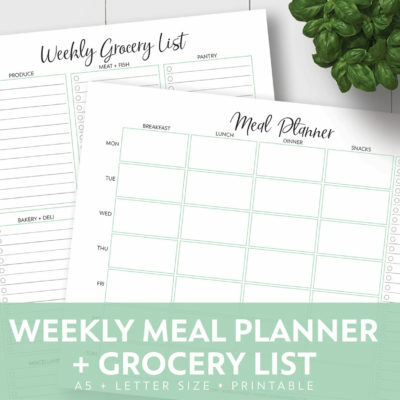 Never miss out on free printables, new designs, events or promotions again.